Yinchuan Tanglai Hui Middle School was founded in August 1990. 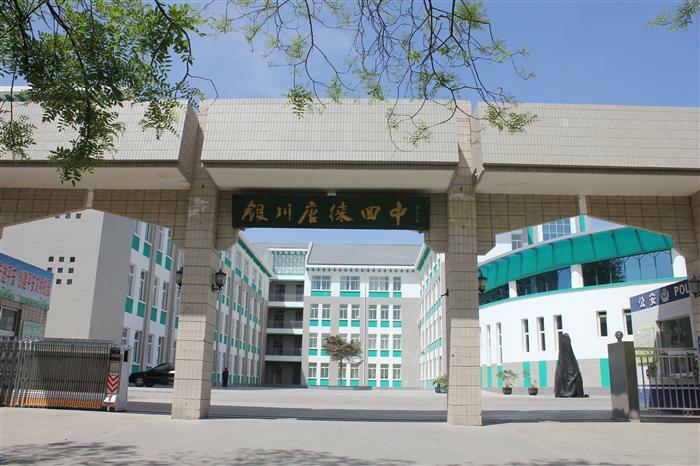 Located on the side of Tanglai Canal in Xingqing District, Yinchuan, the capital city of Ningxia Hui Autonomous Region (China’s Muslim province), the School is a full-time public school directly under Yinchuan Municipal Education Bureau and implementing the principal accountability system. It is also one of the first “Grade A Demonstration Senior Middle Schools” of Ningxia Hui Autonomous Region. Over the past 26 years, the School has been pursuing a development path of expansion and upgrading with the support and concern from all sectors of the society and concerted efforts of the staff and teachers. The number of students has increased from 200 to nearly 8000, the classes from six to 144, and the number of staff and teachers from 32 to 560. The School has developed from a single-campus one to an education group with one senior middle school campus and three junior middle school campuses. The four campuses cover a land area of 340.4 mu (15 mu = 1 hectare), among which the senior middle school campus covers 58 mu, the western campus 98 mu, the southern campus 65.4 mu, and the Baohu campus 119 mu. The School has been awarded the following titles: National Model Institution of Ethnic Unity and Progress, National Outstanding Group in Education, Demonstration School of National Ethnic Middle School Education Association, National Junior Middle School Maths Experimental Base in the New Century, National Top Ten School in Scientific and Education Innovation, Grade A Demonstration Senior Middle School of Ningxia Hui Autonomous Region, Specialist School in Mental Health Education, and Institution of Intellectual and Moral Progress of Ningxia Hui Autonomous Region. As a demonstration school of ethnic education, the School has won over 50 national awards and 300 provincial and municipal awards. Over the past 26 years, the School has always come out among the best in university admission rate and educated a large number of outstanding students for colleges and universities. The School has seen seven top scorers of Ningxia and two of Yinchuan in the national college entrance examination. 68 students has been admitted by the Tsinghua University and the Peking University and two has been admitted by the Chinese University of Hong Kong. Boasting quality education, the School has become one dreamed about by the junior and senior middle school students of Yinchuan and even Ningxia.